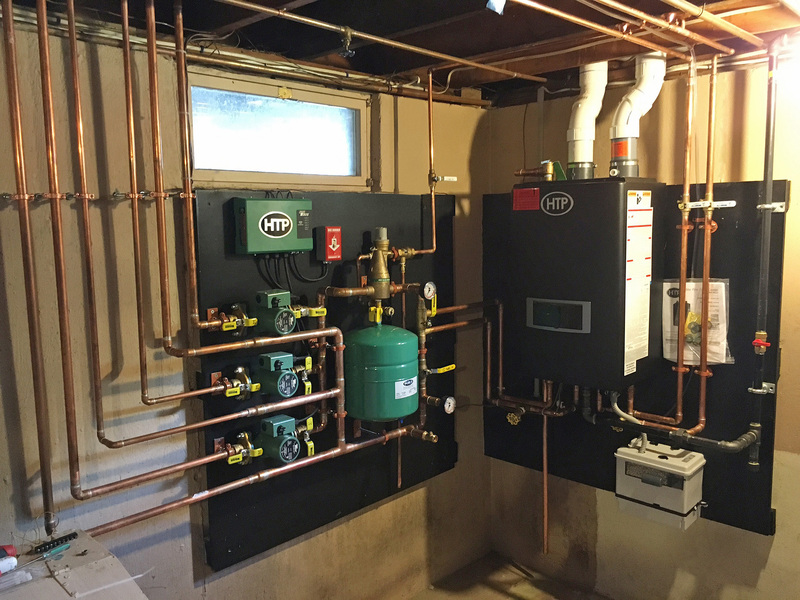 Check out this great installation done by JC Plumbing and Heating. This installation included the highly efficient EFT Combination Wall unit and HTP's new Zone Panel. They replaced the existing system: 3 zone atmospheric 147k BTU gas boiler and a 40 gallon atmospheric water heater. After removing the old system, they relocated the new system and did zoning 25 feet away. This installation took approximately two days - 32 hours. 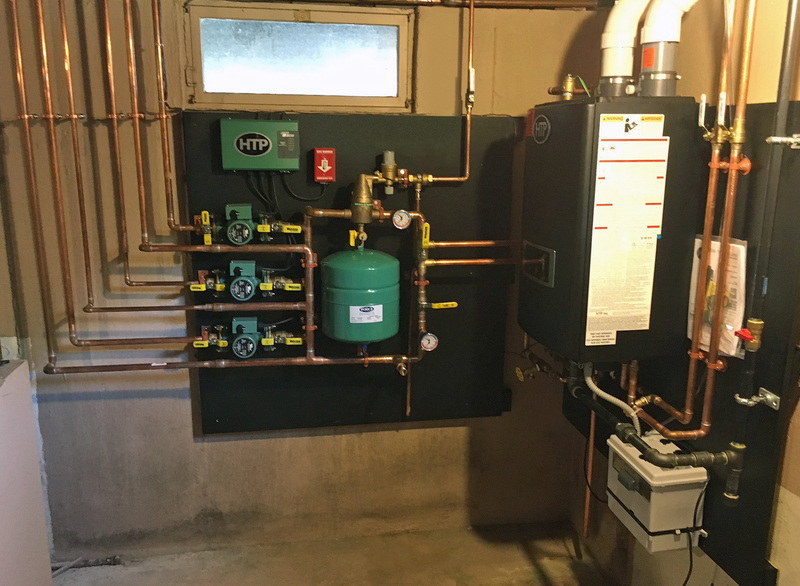 Without the Quick Zone Manifold System to streamline this job, the installation would have took about another six to eight hours!